Here you will find a friendly and informal meeting place for the discussion of everything Avantime. If you would like to take part and gain access to the additional 1200+ discussion topics, please sign in or apply for membership below! Ciao a tutti , oggi io vi scrivo in italiano , poi mike farà un ottima traduzione . Secondo voi la foto che mi allego esiste questa Avantime preserie ? This is a Avantime prototique? 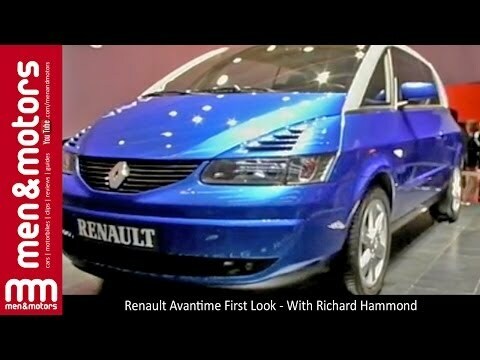 Does anyone know if the prototype Avantime in the attached picture actually exists? The only part of the quartet of pictures my relatively untrained eye would say is definitely of a proto is the one of the wheel. The headlight doesn't look like the show car type. The other two could easily be of a production car. When were the pictures published? I'm pretty sure these are photos of the red concept shown at Geneva which have had the 'hue' changed (it's very easy to do, I did it to see what a half ep2 interior would look like). If you look at the first 3 photos they all have identical lighting to this press pic of the red car http://www.favcars.com/wallpapers-renault-Avantime-concept-1999-87625.htm however it does look like they have changed the light unit, the left side looks like a lens from a production car and the right side you can see the bar bit which sits in the middle of the concept version. I did look for pictures but they all seem to be of the front, the only obvious difference from the final car is the completely red lights (which i had never noticed before), it also doesn't have parking sensors. I'm not sure where those photos were taken, at frankfurt there was a board behind it saying 'renault Avantime weltpremiere', but it looks as though it is in the middle of the hall, a blue 'production' Avantime was displayed at Geneva 2000 with the red concept, I have seen pictures from other shows too, one had the clear lights but I'm not sure which show that was, and I can't see the lights in the others. anyone fancy a coffee with cream...and added leds ? ? like ? dislike ? discuss. I saw it in the flesh at the international meeting in Amsterdam last year, absolutely stunning interior. Can we have a "like" button please!. I dont like it, I love it. Truly superb. Spudit,questa immagine riguarda a una preproduzione finale,anche io non so dove è stata scattata la foto ma sicuro i fari posteriori erano tutti rossi come il prototipo Z66 e altri piccoli particolari non erano ancora stati ottimizzati per la produzione . @spudit2003 , this relates to a final pre-production, I also do not know where you took the photo but sure the rear lights were all red as the prototype Z66 and other small details had not yet been optimized for production.